Funville is coming to the Diamond! The Richmond Flying Squirrels held a media event Friday to tout some of the new features and improvements baseball fans can expect to see at The Diamond in 2018. The chief thing among them, Funnville, will be a new brand identity where memories and experiences transcend the physical boundaries of the stadium. Think of it as a way to brand the entire Flying Squirrels experience. The Funnville concept will be represented at The Diamond through logos, specialty uniforms, concessions items and a 60-foot-wide inflatable archway. The concept, along with additional ballpark upgrades and a custom Flying Squirrels emoji keyboard were unveiled on Friday morning in the home clubhouse of The Diamond. Funnville specialty uniforms will be worn by the Flying Squirrels during each Sunday home game. The jerseys are colored with a Funnville blue base over a faded star patterned background. The Funnville logo in balloon lettering is arched across the front. Balloon font numbers are centered in the middle back of the jerseys. The Funnville uniform caps are tri-colored white, blue and orange with the Funnville logo angled on the front. Funnville merchandise is already available for purchase in the team store or online here. The physical boundary to Funnville will be recognized by a 60’ by 24’ inflatable red arch with the Funnville logo on the apex. The arch will be placed at the main parking lot entrance of Squirrels Way on game days. The Squirrels mantra of Have Funn, Go Nuts is emblazoned down the sides of the arch, embedded with a stars and logos. Other Funnville changes will include a transformation of the upper third base concession stand. The rebranded stand will have specialty, rotating Funnville food items throughout the year. In addition to Funnville, the Flying Squirrels also announced plans to roll out a free customized emoji keyboard. The keyboard will be available for download before the start of the 2018 season and will feature Funnville characters such as Nutzy and Nutasha. The initial download will have 20 customized emojis that exemplify the Funnville experience, with more to be added soon thereafter. The Squirrels also announced the most recent physical upgrades to The Diamond. 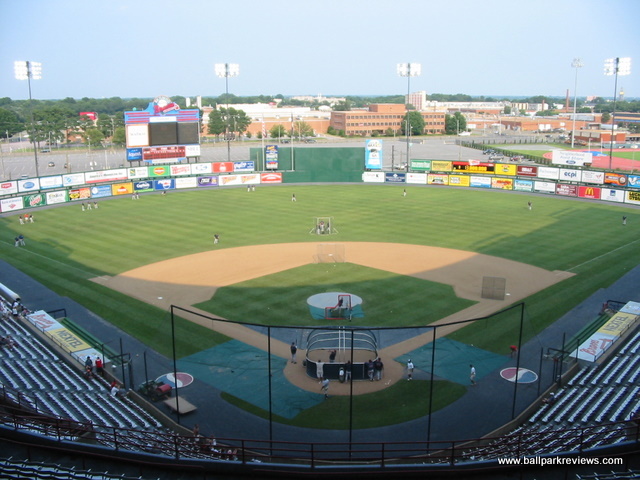 Since the team’s inception, the Flying Squirrels organization has spent millions of dollars to renovate, maintain, and enhance The Diamond. This season, a new sound system is being installed to drastically improve the overall sound quality and clarity for fans throughout the ballpark. Other upgrades included new viewer-friendly netting behind home plate extending to the ends of each dugout for enhanced fan safety, along with padded outfield walls for better player safety.